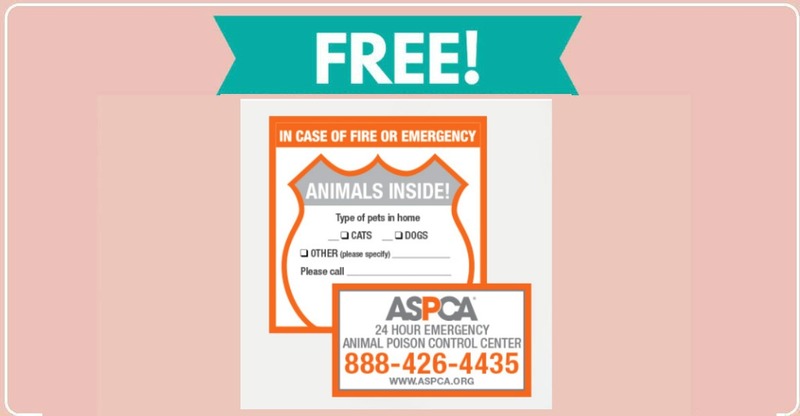 If you have animals and want to keep them safe, this is a great freebie for you! You can get a free Pet Safety Pack from the ASPCA by filling out the form at the link below. Packs include a window decal to alert emergency personnel that there are pets in your home and a magnet with the Animal Poison Control Center’s phone number for your fridge. Click below to snag this freebie!